This week’s WordPress photo challenge theme is ‘serene,’ and I thought I’d use that as my prompt for the next few posts. 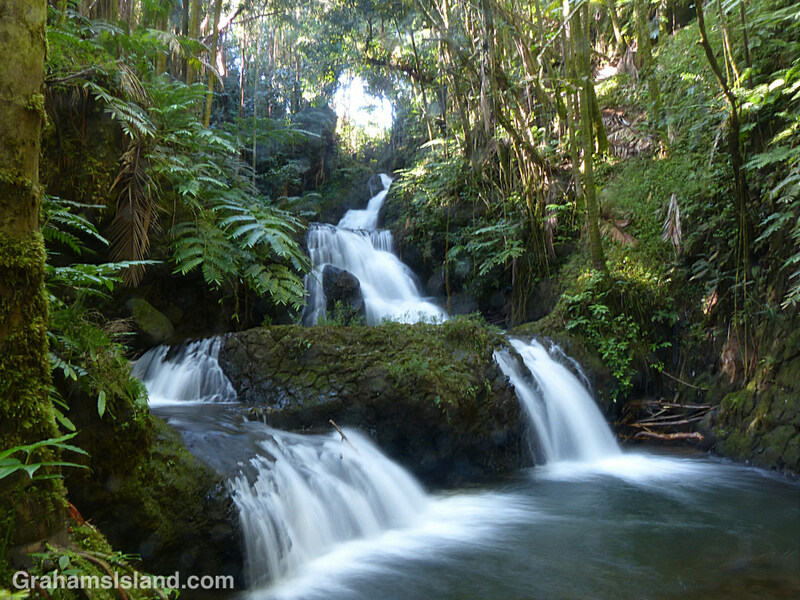 First up are the Onomea Waterfalls at Hawaii Tropical Botanical Garden north of Hilo. Here, the falls are full with winter rains. In the summer the flow is less. It’s a beautiful, calm setting and, while it’s a popular spot with visitors to the garden, an early arrival should ensure maximum serenity. You captured the essence of that part of the Big Island-I can hear the waters now. Outstanding! Thank you also for the update re Waimanu’s pup. Was so sad to learn the news. I will make a donation to that organization in memory of her pup. Thanks. I love visiting the gardens. There’s always something new in bloom. If I hear about the cause of the pup’s death I’ll post something. You should. It’s worth a visit. There’s something different to see each time depending on what’s blooming. Enjoy your time in Hilo. Yes, it’s a great spot.